is a two-day event that brings together a diverse range of stakeholders from Nebraska and across the country to share the latest information and innovations in wind and solar. Shaped by volunteers from state agencies, farmer and rancher organizations, public power utilities, the renewable energy industry, and academia - the Nebraska Wind & Solar Conference aims to present accurate and objective information pertaining to all aspects of wind and solar development. Individuals from across the country attend the Nebraska Wind & Solar Conference to network, learn, and be inspired by quality speakers and timely presentations. The conference programming covers a wide-range of topics relevant to the wind and solar industry and the future of development in Nebraska. Including landowners, utilities, developers, state legislators, contractors, engineers, municipalities, and more. Sharing expert knowledge and first-hand experience. Showcasing the latest advancements in technology and development. 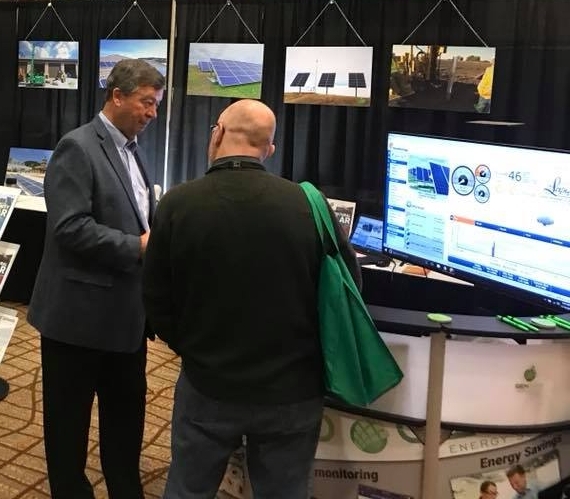 Over the past eleven years, the Nebraska Wind & Solar Conference has presented attendees with Nebraska-specific information on a variety of renewable energy topics from expert speakers from across the country. Visit our Resources page to view past conference presentations and the latest publications in the field. $125 Early Bird registration ends October 1, 2019 — then registration is $175. There are a limited number of booths, sign up today to guarantee a spot in the exhibit hall! Sponsors are vital to the success of the conference. There are multiple sponsorship levels available.